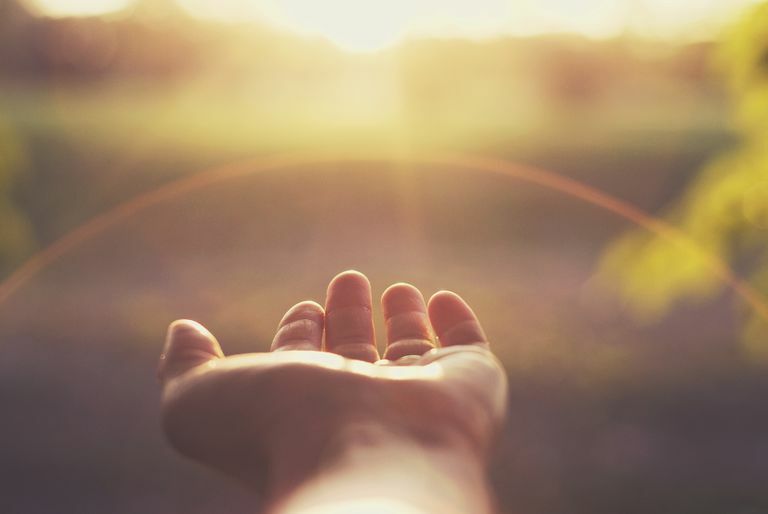 The phrase "letting go" has become popular in recent years, but what does forgiving and letting go mean for someone with cancer? Why do we hold on to anger and resentment and fear, and what are the consequences? And how can you let go of these feelings and emotions so you can live fully after a diagnosis of cancer? What Does It Mean to Forgive and Let Go? Letting go and forgiving doesn't mean giving up. It doesn't mean placing any less emphasis on your treatment. It doesn't mean it is okay if someone has hurt you. It simply means letting go of negative thoughts you may harbor that don't contribute and can take away from, your ability to live fully. It means naming, and then releasing deep-seated fears, anger, and resentments so that you are freer to enjoy positive emotions. While forgiveness is a step in letting go, it doesn't mean forgetting your past mistakes or dismissing ways in which you have been hurt by the actions of others. It only means that you don't rehearse and dwell on your former mistakes and the insults of others in a way that keeps them at the forefront of your mind as if they were happening today. In this way, forgiveness is healing. Why Do We Hold On So Tightly to Hurts and Fears? If anger and resentment serve no purpose in our lives and actually harm us, why do we hang on so tightly to bitterness and regret? Sometimes it's because we haven't identified our deep-seated fears and anger. Other times these feelings almost become our identity. And yet other times we cling to our hurts in a form of victim mentality, a mindset that essentially says, "You win, you are a valuable person and rehearsing ways you have been slighted and harmed proves your value." Fortunately, there are ways, beyond harboring anger and resentment that can remind you that your feelings matter. While there is controversy over the impact that anger and resentment have on cancer survival, one thing is clear; taking the time to rehearse resentment and harbor hurts steals precious time from our lives - whether that means 9 days or 90 years. What could you be doing, or enjoying, that is instead filled with moments in which you nurse your anger and hurt? If someone has hurt you, do you really want to give that person another hour of your life as you re-live the hurt; in essence turning over your power to the offender? If your anger is about your own poor choices, will it help you, or anyone else, to chastise yourself yet one more time? Probably not. Letting go may not improve your survival odds, but it will do one thing for certain. It will free you to use the hours you have left to do something that feels good instead. What Things May Someone With Cancer Wish to Let Go Of? Anything that begins with the phrase: "What if...."
Anything that goes along with the phrases "could've, would've, and should've." Anger at your diagnosis. You may have asked: "Why me?" Perhaps you were first misdiagnosed, or your diagnosis was delayed. You may feel angry at the way in which cancer has disrupted your life plans, and feel bitter about the symptoms and side effects of your cancer and cancer treatments. Control of your relationships. It's been said that the one thing that is constant with cancer, is change. Relationships almost always change after a diagnosis of cancer. Perhaps you are frustrated and angry at someone you considered a close friend, but that friend essentially disappeared after your diagnosis; vanished at a time when you need support more than ever. Or, in contrast, perhaps you feel smothered or pitied by others. Okay - so it's good to let go. But where do you begin? If you're ready to cast off those heavy burdens, try these steps. Name It - An important first step in letting go is to identify your anger, fears, anxieties, and resentments. Until you name what is standing between you and happiness it is hard to address it, and you may just have a vague sense of injustice. Looking at the lists of feeling words below may help you clarify what you are feeling, and then look to the cause of that feeling. For example, are you feeling shame, regret, anger, bitterness, disappointment or a combination of several of these emotions? Consider Journaling - Keeping a journal can be an excellent way to both define and express things that are eating at you. That said, it's important to use journaling to clarify and address your thoughts, rather than as a way to ruminate on ways you have been hurt. Reflect - Whatever hurts you have received or have dealt out, you have probably mentally re-lived dozens of times. Take a final moment to review and reflect on issues that have caused you to be angry. Feel your emotions fully, as you prepare to let them go. Forgive - Perhaps the most difficult step in letting go is forgiveness. Sometimes you may need to forgive another person, but other times it is yourself you need to forgive. Forgiveness does not mean forgetting or allowing others to continue to hurt you in any way. It does not mean that something that happened to you is okay. Instead, it means that you refuse to let whatever grievances you hold against yourself or others to continue hurting you by stealing your joy today. By forgiving those who hurt you, you take back your power. Forgiveness means that you refuse to devote your energy to someone who has hurt you. Forgiveness is healing. Make Amends - Is there anyone in your life who holds a grudge against you? If so, that doesn't necessarily mean you need to ask them for forgiveness. But for those loved ones and friends who you feel safe talking with—who, basically, are forgiving people themselves—consider bringing up an issue (once) and asking for forgiveness. It may surprise you how a simple request for forgiveness can soften hearts. Reframe and Look for Silver Linings and Lessons - There are often two ways of looking at any situation. Cognitive reframing is a method of looking at an experience in a different way—a way of changing your perception. For example, instead of mourning your hair loss during chemotherapy, you can talk about how nice it is not having to shave your legs for several months. Sometimes reframing only requires a change of words, for example, instead of viewing something as exhausting, you could view it as challenging. Looking for silver linings is another way of looking at the same situation but experiencing it in a different way. For example, instead of thinking of the activities you have given up during cancer treatment, you may think of the friendships you would not have formed were it not for your diagnosis of cancer. Even if reframing is not possible and you are having a hard time finding silver linings, you may want to think of the lessons you have learned in the process of experiencing emotional pain caused by others or yourself. Many experiences in our lives, though painful, teach us valuable lessons. If you have been hurt, what have you been doing that allowed you to be hurt? Meditate, Pray, or Commune With Nature - Spirituality can play a powerful role in releasing anger and fear. Some people find solace by walking outside in nature. Others find comfort in prayer, while yet others choose meditation, deep breathing, or creating art. Allowing yourself a time of quiet while you consciously make a decision to let go of anger and resentment can free you to take the next steps towards living happily in the moment. Visualize Yourself at Peace - If you have ever practiced visualization you may have experienced how powerful this practice can be. Replace Your Anger and Fear With Something Else - Not only is resentment like a poison you prepare for others and drink yourself, as the quote suggests, but anger and resentment can fill many precious moments that could be spent doing just about anything else. Think about your life; what would you like to do that you haven't had time to do? If you were to replace the time you spend dwelling on past hurts doing one of those things would you be happier? Even after you work through issues that have caused anger and bitterness in the past, you will inevitably have times when those negative emotions pop up uninvited again, and, being human, there will always be "new" issues that create anger in our lives. If I were to name one single thing that has helped me the most in coping with cancer emotions, keeping a gratitude journal would win hands down. It's hard to express gratitude and feel anger simultaneously. And it's not a bad way to find silver linings you might otherwise have overlooked. National Cancer Institute. Cancer and Emotions. Updated 12/02/14.